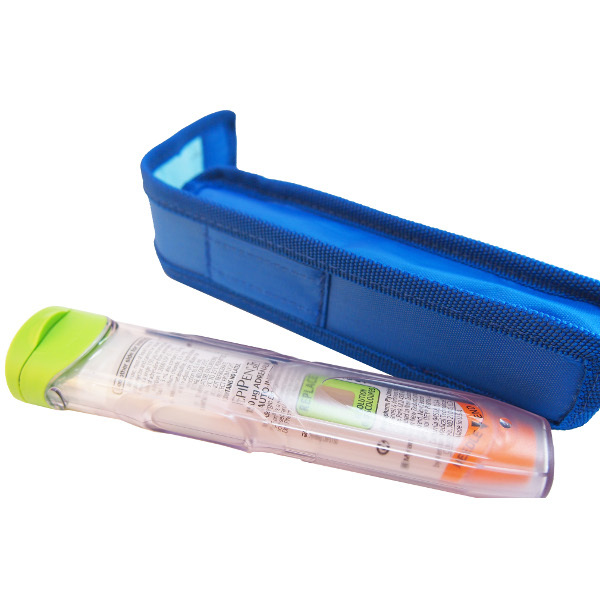 Foil lined auto-injector carrier case. Fits 1 Epipen®, Anapen®, or Jext® auto-injector. Can be attached to a belt or strap for easy transport. This MedBag carrier case for an EPIPEN® auto-injector is an attractive and easy to use foil lined case. 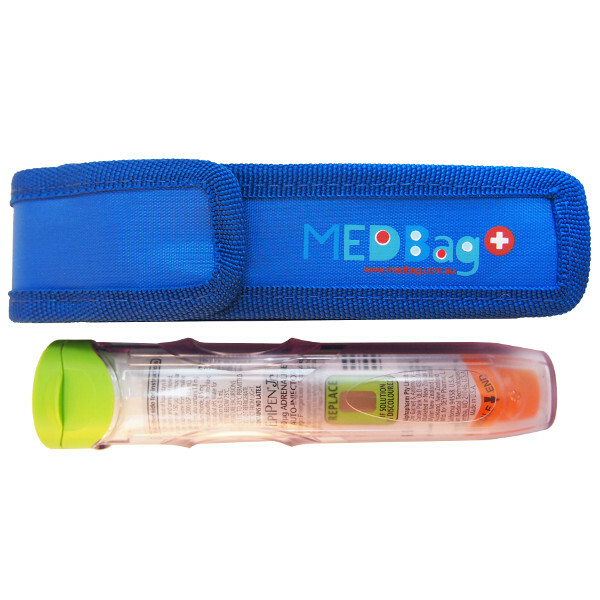 The case is suitable for a single EPIPEN®, Anapen®, or Jext® Adrenaline Pen. The case has an internal identification label for name & phone. The carrier case has a secure Velcro closer for easy access. 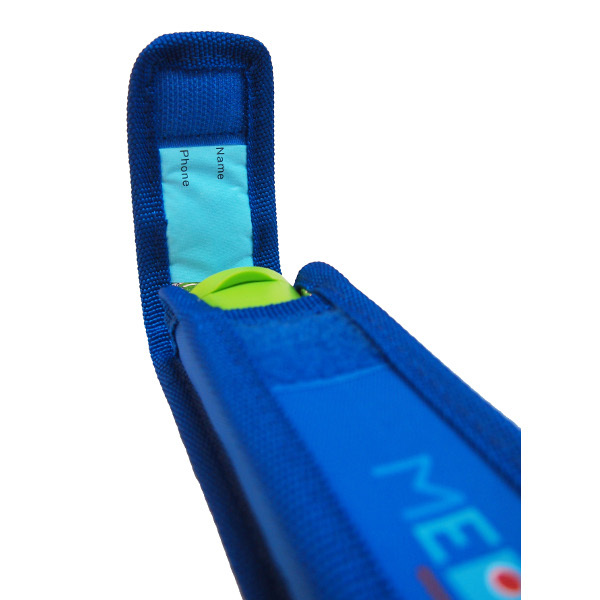 There is a belt loop on reverse which allows you to wear the case on a belt or strap. There is a Red Medical Cross on the front of the case to clearly identify it as a medical bag. The case can be used with our waist belt for adrenaline pen cases which can be purchased separately. 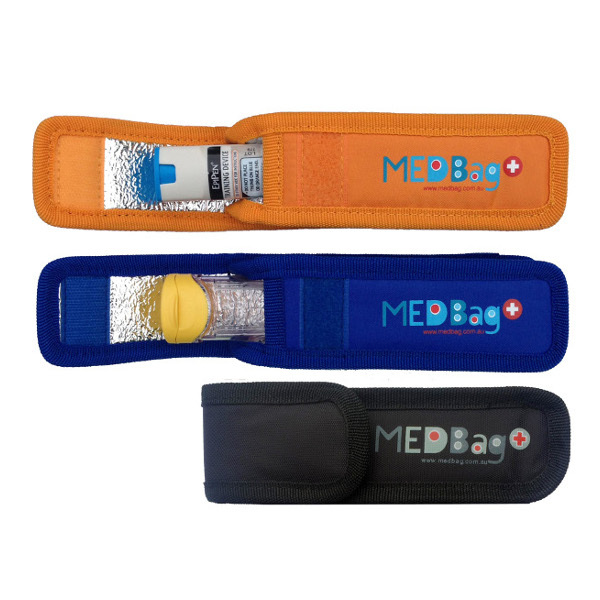 Please note: Contents shown in the image are for demonstration purposes only and are not included with the Medbag case. 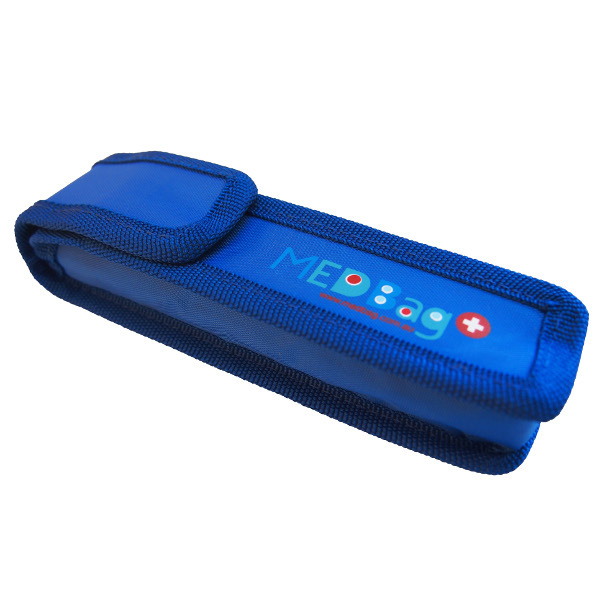 The Emerade® pen will fit in the MedBag Single case but it does not hold the hard case supplied with the pen. excellent product great service use it daily would prefer if the belt loop would be able to twist, am delighted with the product. Ordered this yesterday and arrived this morning…great service. 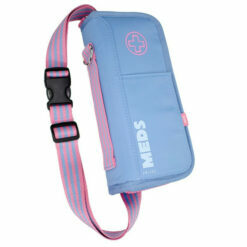 Great bag for my daughter’s anapen which fitted perfectly. Would definitely recommend Allergy Lifestyle to others. Thanks for a great product and super service. My EpiPen fits perfectly and this is only company I could find with safety orange in stock! We live in United States..Pennsylvania…arrived in 10 days exactly as promised. It fits in my purse as well as fanny pack when we go fishing in the summer! Very well made. Prompt delivery. Strong belt strap. Happy with product. Got bright orange so good visibility. Just what I needed after a cheapie broke with an hour. Good, robust, and worth it. 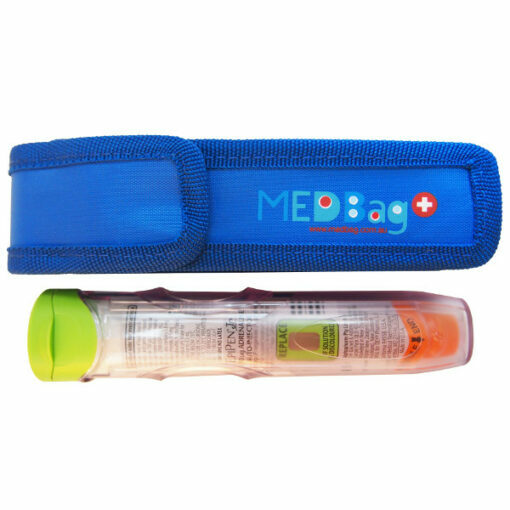 I use this carrier case everyday to transport my two Anapen auto-injectors, very good product ! Quick delivery. I bought this item for my medication to keep cool on holiday abroad as it will fit nicely into my handbag. My medicine needs to be kept under 25C so this will be perfect while out and about. Excellent fit, good size and exactly what I needed to protect my Epipen. Excellent purchase. I would highly recommend this product, its a good quality item, ideal size. I know it will keep my EpiPen safe. I received it by post and had within a few days of ordering it. Delivery was very prompt. Item definitely has a feel of quality about it. A bit wider than necessary for the Annapen I carry but that is just a small point really. Does what it says on the tin, fits one eli-pen perfectly and keeps it cool in the hot weather. Received quickly. Good quality and will defiantly be ordering another if needed. Good amount paid and worth the money.